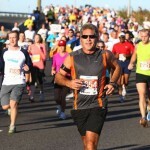 Organised By: Ocean Drive Run Club, Inc. 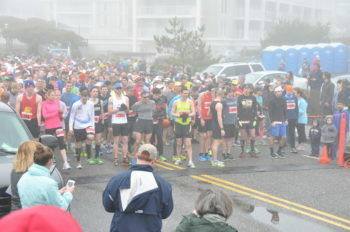 These USATF-NJ 500 point Grand Prix events offer a USATF certified (NJ12009LMB & NJ12010LMB), Atlantic Coastal flat (5′ AMSL) and fast, paved road and boardwalk, point-to-point, qualifying course that begins in Victorian Cape May City, continues, via the Ocean Drive, over 4 drawbridges (uniformly at 25′ AMSL) through the fishing port of Lower Township onto the Wildwoods island (where you run the length of its famous Boardwalk, where the OD 10-Miler finishes) through Middle Township on into the island communities of Stone Harbor and Avalon, and finishes on the Promenade on the island town of Sea Isle City. Also, the USATF certified OD 5K (NJ12011LMB) is companion to these events and run out-and-back form the ODM finish in Sea Isle City. Nearest Parking: at Marathon or 10-Miler finish areas.